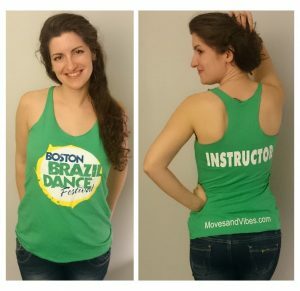 Two weeks ago I attended the 3rd Annual Boston Brazilian Dance Festival, put on by Moves & Vibes. This festival caught my interest when it started back in 2014. I had never seen a festival advertised with quite that mix of dances: Brazilian dances alongside kizomba and bachata. 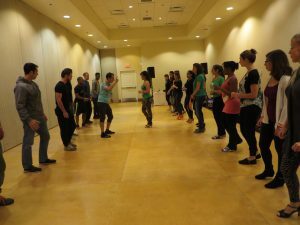 When Inna, one of the directors, brought me to Boston for a kizomba workshop, I became more convinced that this was a festival that would suit me. I got to wear the t-shirt, but it wasn’t until this year that my international travels allowed me to check out the festival for myself. Boston Brazilian Dance Festival teams up with West Coast Swing event Swingin’ New England to rent out all the ballrooms and huge blocks of rooms at the Boston Marriott Newton. It’s not the easiest place to reach without a car, being so far outside Boston, but when you’re going to spend three days never leaving the hotel it’s manageable. It was a treat to see the New England autumnal glory all around, although the cold was pretty biting for most of the weekend. The hotel is clean and comfortable, with all the modern facilities you’d hope for and impressively effective sound-dampening walls. The configuration did catch me out in confusion a few times. The lobby was on the 4th floor, Swingin’ New England happened on the 3rd floor, we were dancing on the 2nd floor, and my room was on the 1st floor. It sounds silly, but how often do you go downstairs from the ballroom to find your bedroom? Partitions were used to create four rooms for us to dance in on the 2nd floor. 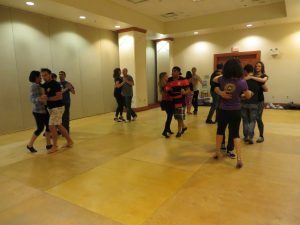 There were concurrent classes all day on Saturday and Sunday, usually one Brazilian zouk, one forro or samba, one kizomba, and one bachata. At night the social dancing was divided similarly. As far as I could tell, the floors held together well, the climate control was well regulated, and the vendors managed to use the limited hall space effectively. Basically, things were set up quite well for the weekend, a credit to the organization. Sunday night’s after party was at the Boston Ballroom, much closer to the city. At first I was surprised to see an additional venue right at the end of the weekend, but it proved wonderfully convenient. Anybody with a late flight was already back in town near transportation, and I got to visit a couple of Boston-based friends. 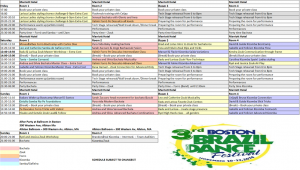 The color-coded schedule available on BBDF’s website was everything I could have hoped for. Left to right, the columns matched up with the arrangement of the rooms. Time blocks were clearly marked with start and end times. Each dance style was assigned one distinct color, so you could quickly scan for what you were most interested in. Master’s classes that came at an additional cost were also clearly marked and enforced with separately purchased wristbands. The festival actually spanned four nights, but I missed out on Thursday’s workshop and pre-party. Friday evening offered a few class choices, including a Ladies Styling Choreography Challenge with Larissa. I passed that up but really enjoyed the results as performed on Sunday night! Saturday and Sunday were chock full of options starting at 10:00am. It was impressive to see how many people made it to those first classes, in spite of how full the ballrooms stayed into the wee hours of the night. Each evening there was an hour of shows followed by social dancing starting as late as 11:30pm. That might be shocking to some of you who are used to things starting at 8:00 or 9:00, but I found it was very true to the cultures represented in the festival’s dance forms. Plus it meant we all had time for showers, meals, and naps before coming to the party! I also appreciated that I could count on finding a majority of people in the ballrooms within an hour of the social beginning, whereas at most festivals the party attendance is quite unevenly distributed throughout the night. When it came time for me to attend class, I opted to immerse myself in the Brazilian side of the festival. And it wasn’t just Brazilian dances being taught – the majority of the teachers were also originally from Brazil. I took classes with Kadu & Larissa, Leo & Catherine, Hisako & Getulio, and Ry’el & Jessica. I had the opportunity to take classes in both Rio-style Brazilian zouk and samba de gafieira with them. They were quite clear about some of the differences in posture, connection, and steps between these dances. Also, when Catherine offered styling options, she showed how tango elements could be introduced without disrupting the connection. I was really pleased by how accepting everyone was of those of us who spent time dancing the role opposite to our traditionally gender-assigned one. 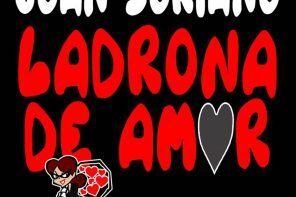 In the kizomba world, Portuguese instructors are among the most stringently opposed to role reversal, so I wasn’t sure what to expect from the Brazilian instructors. While they mostly stuck to gendered vocabulary in class, no one ever made a joke about my leading or the men who wanted to follow. I had a ball switch dancing in both kizomba and zouk with Zan, a friend from Durham. Ryel also taugh a High Heels class that was specifically labeled on the schedule as being for all genders. For me that was the whole point. I obviously identify mostly as a “kizomba person” but I’ve really been enjoying learning zouk over the last year or so. It was a pleasure to dance in the kizomba room with people at every level, then go next door and play with some Brazilian zouk. I wasn’t quite brave enough to try to put my one class of forro or samba de gafieira into practice, but maybe next time! I found the people at the festival to be generally enthusiastic and friendly. This wasn’t a cliquish or elitist event. Sure, there were followers queued up to dance with the top male instructors. 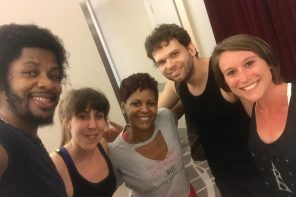 But I was in zouk class more than once with world-famous kizomba instructor Felicien, and within ten minutes of entering the zouk room on Friday night I was asked to dance by Moves & Vibes instructor Edwin. Plus overall there was a spirit of helping those who were just starting or or crossing over from other dances. Maybe some of that was down to size – this wasn’t a huge event like my last write-up, so we got a chance to see some of the same faces and build relationships over the event. To be honest, there were a lot features of this festival that perfectly suited me. The organization was spot-on, and Moves & Vibes even managed to get together a strong enough crew that I saw their directors and instructors out enjoying social dancing. The national and international instructors brought awesome material and were present to dance with attendees in the evenings. The performances were great fun and didn’t interrupt the flow of the parties. The DJs played excellent music, it was easy to move among the various social rooms, and I made new friends. All in all, I was sorry to see the event come to an end! Sound good to you? 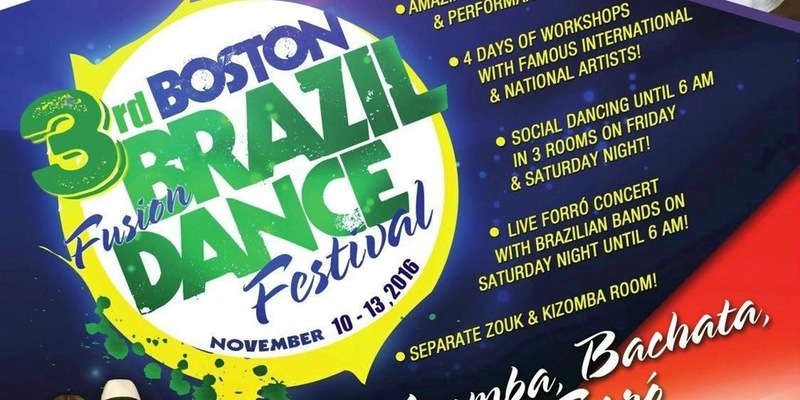 Like the Annual Boston Brazilian Dance Festival page on Facebook to get all the news about 2017.